There’s a fun little annual competition on Twitter called Serious Flash Fiction, where participants are challenged to write a story within 129 characters (a tweet + #SFFiction). 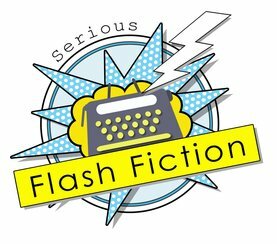 I’m pleased to share that my entry was selected to be featured in this year’s Serious Flash Fiction anthology, along with many other creative writers. Support the growth and continuation of this project by picking up a copy on Amazon! For more information, check out the official Serious Flash Fiction website.